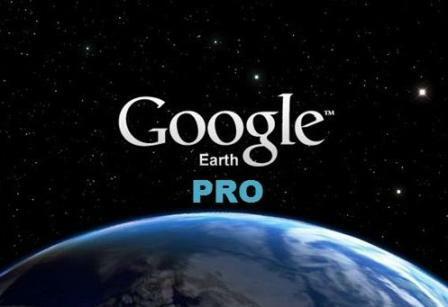 Google Earth Pro is now free. What does that mean for you? This is exciting news if you are looking for cloud-based mapping functionality like finding a location, checking travel times, getting rough distance measurements, or visualization. With Google Earth, including the Pro version, Google has revolutionized not just mapping software, but cartography in general over the past 10 years. If this accomplishment is not obvious, just ask Apple how hard it is. Here at Intermap, we use the core Google Maps and Google Earth functionality every day as a part of our business intelligence software products. The news is not so good if you are depending on Earth Pro to deliver location-based answers for your business. Google has a proven record of innovation on all their software, including their free software, but the fact it is now "free" means it’s a support tool for Google than a product with a business plan and roadmap of its own. The functionality of Earth Pro is unlikely to evolve like it has in the past. In fact, Google is shifting Enterprise customers to ESRI, which is ironic since many Enterprise users were avoiding ESRI (and GIS software in general) in the first place. Businesses that are depending upon Google Earth Pro or Earth Pro Enterprise are now faced with uncertainty on how to continue their solutions, and many will end up with ESRI. But if GIS is not the answer (i.e., if a business doesn’t have a dedicated GIS team), other options are needed. For example: Many insurers use Google Earth Pro combined with the FEMA overlays to assess flood risk. This is a low cost option that can do the job, but it comes with pitfalls that need to be understood. As with all free/low cost products, accuracy is an issue. The Earth platform is primarily designed for consumer interaction, and now that Pro is free it can be construed that the consumer version has simply caught up to Pro in functionality. So while Maps and Earth remain the undisputed best platform for apps, phones, and visualization, it is not the best choice for supporting business decisions that require robust geospatial information. Underwriting flood risk is exactly such a decision, where every foot counts, especially when measuring heights. The elevation data in Google Earth is definitely NOT dependable enough to understand flood risk. Care also needs to be taken with other geospatial measurements/quantities in Earth, such as viewsheds, traffic history, and demographics. Google’s core Maps and Earth functionality, like geocoding and vector data visualization, will remain strong and well supported because they drive huge revenues through their APIs and advertising business. Their imagery integration will almost certainly continue to lead the field, including Street View and the innovation their Skybox technology will realize for their orthometric imagery. Solutions that incorporate these core functions will continue to benefit, as well. However, for businesses that have depended on in-house solutions based on Google’s Enterprise offering, the time might be approaching to decide whether to subscribe to ESRI so you can build a new system, or find a solution that answers your questions from the start.